Original dimensions: 22 x 34 cm. 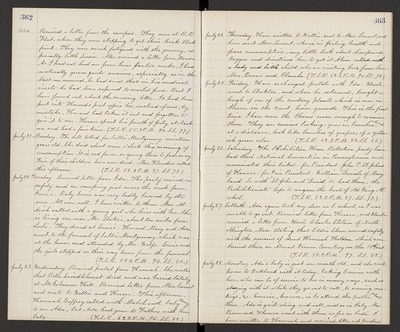 To view the rest of the 1880-1884 Diary, click here to return to the gallery. To view additional Delia Locke Diaries, click here to return to the top of the collection.